After six & a half months, the wait is over. What meant to be an article, ended as an ebook! Freespirit Illustrations’s Company premier information product Downfall is officially released. Touching a multitude of issues, primarily mesothelioma, illicit industrial asbestos use, employee safety negligence, the 9/11 twin tower terrorism attacks, immigration, race relations and occultism, amongst other, this is the most sophisticated & brilliant publication of Freespirit Illustrations Company yet. What’s in it for you? UNEQUALED EXCELLENCE in creative writing. Spanning across the world, the story takes you across a diversity of human culture. For the literary art lovers, you will not be disappointed. 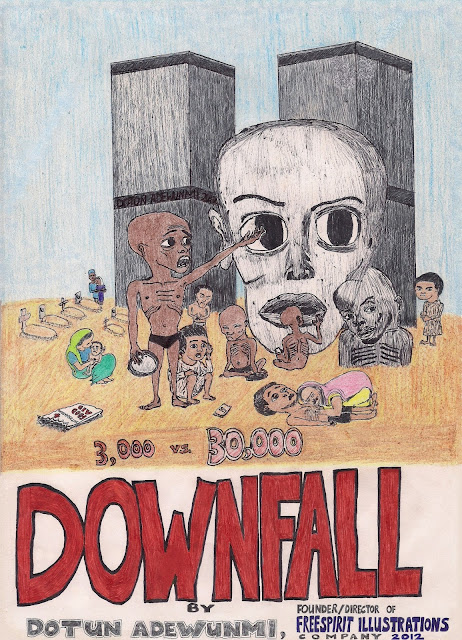 Infused with the Specialist Listings’s tradition of witty humor & intelligent storytelling, Downfall delivers a poignant message of hope & beauty, amidst a dark, troubled world. There’s nothing like realizing you’re not alone, in the woes life brings.